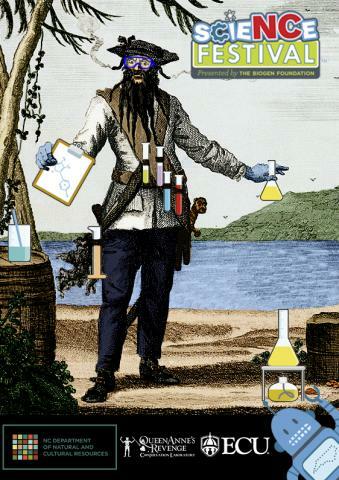 Pirates and science and Blackbeard! Oh my! Come out to the fifth annual QAR Lab Open House to experience the ongoing conservation of the infamous pirate Blackbeard's flagship, Queen Anne's Revenge. Learn how conservators and archaeologists use chemistry, physics, technology, and more to conserve 300-year-old artifacts through fun hands-on activities and behind-the-scenes demonstrations. Be an archaeological conservator for a day and discover how interdisciplinary, scientific research is bringing North Carolina History back to life!